In an industry that requires a lot of trust, regulation is key. Proper regulation will ensure that the broker is capitalized in case of trading losses, keeps your money in safe, secure as well as segregated accounts and sticks to fair dealing practices to make sure your trades are always done at the current market prices. The MT4 forex broker you choose should have a strong regulatory record. Most countries have taken the initiative of regulating forex trading. However, the fine print of the regulations may vary from country to country. Brokers who operate in different countries need to be registered and licensed. When making your choice, ask the broker which regulator has licensed them, and if possible, request to be provided with the registration number for verification. When you are opening an account with your broker, you’ll provide lots of personal and financial information. Usually, you’ll be requested to provide copies of your passport, bank account information, utility bills, and credit card number. To ensure that you always get the best rates at the required times, you should choose a broker with exceptional trade execution methods/practices. Essentially, forex brokers can be classified into two: Market makers (those dealing desks) and STP brokers (those that pass your directives to interbank markets). With market makers, any loss you make registers as a loss on their end and vice versa. But this doesn’t mean that they are working against you. The idea is to spread the bid when clients enter as well as exit the trades. They offset the risk of the trade with other trades from their clients and with their current liquidity provider. On the flip side, STP brokers route all your directives to financial institutions like hedge funds, mutual funds, and banks. They see a good quote in the interbank market and then add some fractional pips as compensation before they route the order to liquidity providers. Today, you can trade several currencies with a broker. A good broker will grant you access to several capital market areas via one forex account. It’s therefore important to note that broad coverage doesn’t always mean deep coverage. If your goal is to trade a lot more than forex, then the number of products that your broker covers is imperative. Now that you know how to pick an MT4 forex broker, let’s look at the benefits you stand to gain using the MT4 platform. The MT4 interface is user-friendly. This enables forex trading newbies to navigate the volatile and complex market with great comfort and ease. 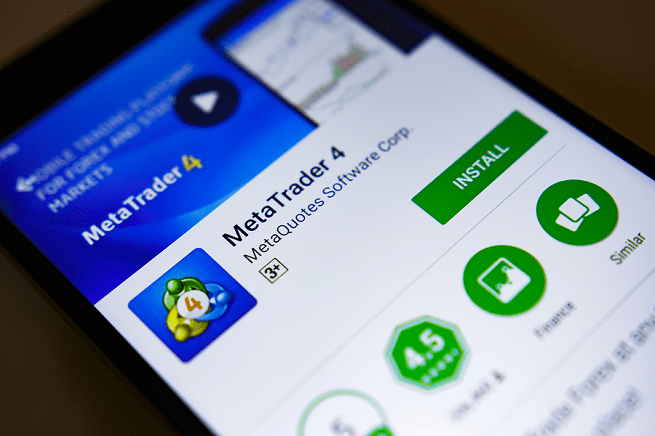 Moreover, MT4 has a mobile app which allows access to the platform anytime and anywhere. MT4 supports lots of languages all over the world. This means that you can use the platform in your native language. In addition to its user-friendliness, MT4 provides advanced chart features, which help traders to analyze the technical aspects of their market. Also, you can change the style and color of the charts and use different templates that you like. The platform has advanced tools of communication which enable the brokers to communicate with traders in real time. This gets rid of long email threads which can be a pain to follow. It makes trading and collaboration easier and simpler. As you prepare to venture into the forex trading, be patient and a good communicator. Hopefully, you don’t think it is a get rich quick scheme, but you will undoubtedly enjoy great returns if you do it right.